Carmo electronics is an innovative company specializing in motor electronics. Since the foundation in 1994, Carmo electronics has specialized in testing and repairing ignition and injection systems. Carmo electronics develops digital ignition- and injection systems for almost any kind of combustion engines. Making new chip keys (immobilizer systems), flashing ECU´s for better performance and rewinding generators / alternators are also activities of Carmo electronics. 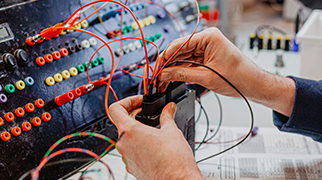 Because of its assessment and flexible organization structure Carmo electronics is able to provide customer specific requirements. Carmo electronics has digital replacement ignition systems in stock and therefore can supply a digital replacement unit within 7 days. The programmable ignition- and injection systems are supplied complete with software, program cable and user´s manual. This way you are able to program the system on your own so whatever circumstances you will face, your bike will perform to the maximum level. Time after time. Software provided will run on every laptop or personal computer with rs232 or usb 2.0 (optional usb to rs232 converter available). Are you interested in latest developments of our programmable ADI and AFI systems, please ask for the special leaflet Products Motorsports. Also to be downloaded on our website www.carmo.nl. You will find a comprehensive reference list and you are able to download software for an impression of possibilities. 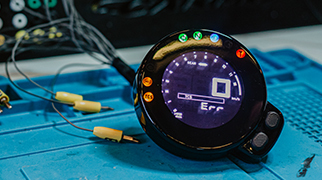 Carmo electronics supplies different kind of high-grade electronic parts for motorcycles, such as: generators, rectifier-regulators, ignition coils and high-tension coils. These high quality products have competitive prices and can be delivered from stock within 7 days. Beside the products deliverable from stock Carmo electronics can be of use for particular needs of electronic systems. In those cases Carmo electronics will discuss the possibilities and makes clear agreements about costs and delivery so you will never get a nasty shock. Among these conditions Carmo electronics offers a rewind-service for ignition coils and generators, much cheaper than buying a new one. For expert advice or questions about the extensive possibilities and prices you can contact Carmo electronics on the contact page.